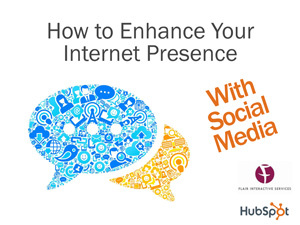 Free Social Media Ebook | Flair Interactive Services Inc.
Social media has evolved from a casual communication medium to a critical marketing channel for all businesses. If you're not using social media for your business, you're missing out on traffic, leads and customers. Our free ebook can help, whether you’re brand new to using social media for your business or just need additional suggestions. Best of all, our ebook is free! Complete the form on the right and we'll send your FREE social media ebook so you can enhance your internet presence right away.